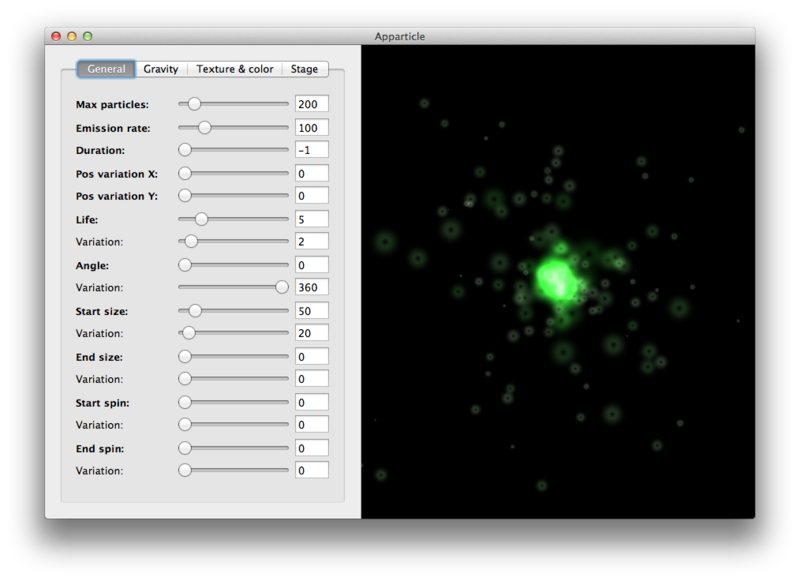 Apparticle is an open source GPLv3 Mac OS X 10.9 software to edit particle systems and save them in the .plist format to be used in Cocos2d based project. This project was created in an academic context with the need for a cheep, simple but complete particle editor for Cocos2D. I did not found one, so I made this. If you are looking for a great, solid and commercially supported particle editor, have a look at the excellent 71 Squared Particle Designer. Or, alternatively, all versions can be found on the project Github releases page.